AROUND 40 exporters of Australian barley are getting close to their deadline for lodging submissions to China’s anti-dumping investigation which was announced on 20 November last year. The anti-dumping investigation was followed by a countervailing investigation announced on 22 December, bringing uncertainty to Australia’s largest coarse-grain market in the opening months of its current shipping year and prompting some growers to look to reduce their barley area in the lead-up to planting this year’s crop. The Chinese Chamber of Commerce and Industry has brought the case on behalf of Chinese barley growers, and documents from China’s Ministry of Finance and Commerce (MOFCOM) allege the period of ‘injury’ covers 1 January 2014 to 30 September 2018, which coincides with a steep increase in feed barley trade with China. Australia’s barley industry is hopeful it will be able to provide Chinese authorities with enough material to encourage China to withdraw its anti-dumping and countervailing claims. Meantime, no one in the grain trade or the Australian Government wants to suggest any negativity towards their Chinese customers as the deadline of 5pm Beijing time on 28 January nears. A spokesperson for the Australian Department of Foreign Affairs and Trade (DFAT) said the Australian Government has made numerous representations to Chinese counterparts in support of the Australian barley industry since investigations were launched in November. “Australia will mount the strongest possible case to uphold the integrity and market access of our world leading agricultural producers against these unsubstantiated allegations,” the spokesperson said. “Our barley producers operate in a competitive global market and in an entirely commercial way. “The Australian Government is working closely with the Australian barley industry in their response to the investigations, and has encouraged industry to cooperate with the investigations. Australia’s Ambassador to China, Jan Adams, and other senior government officials, have also met with China’s domestic industries and investors who may be impacted by the investigations. Australian growers, grower organisations and traders have developed strong relationships with China’s barley market. 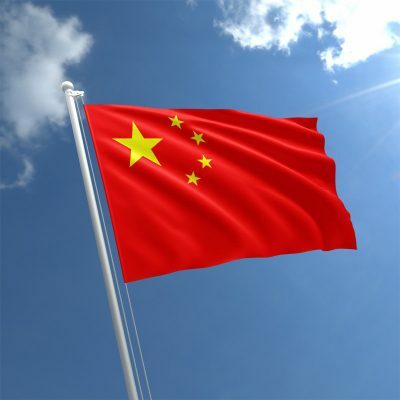 Market talk says China’s barley consumers and Australian growers are equally against the Chinese Government imposing a tax on Australian malting or feed barley. While much of the job of responding to MOFCOM’s questionnaire has fallen to traders who market growers’ barley, it is the growers whose plans for the approaching cropping season are substantially at risk from a Chinese duty which may be imposed as a result of its investigations. This could happen in a month or a year, when the end-date for the process was notionally set, but it could be extended for six months. Grain Producers Australia (GPA) chairman and Victorian Wimmera grower Andrew Weidemann said the earliest a tariff could be imposed by China was around the middle of next month, and it would have an immediate impact. If imposed it would have an ongoing impact on barley in Australia for years. Through GPA, and via the state grower bodies it represents, Mr Weidemann said it was important to communicate best-available knowledge about developments in the investigations to help growers with 2019 autumn sowing decisions. China barley imports from all origins. July/June years. Source: IGC Click on images to enlarge. “The past six years have seen a year-on-year increase in the quantity of barley shipped to China. “Realistically, nowhere else in the world can provide what China is looking for. If barley trade with China was seriously affected by the findings of its investigations, some growers would likely switch some or all barley area to livestock, wheat, canola or pulses. “We do know first-hand that Chinese maltsters want our barley. What does this mean for them? Barley’s price baseline is feed value, and the cheapest shipped barley in the world typically goes to the Red Sea ports of Saudi Arabia serviced by the cheapest origins, neither of which claims holds any appeal for growers with choices. “Growers are not stupid. If there’s not much outlook for price at the other end, they won’t grow it because they can’t afford to; they will grow another crop. As a rule of thumb, canola price needs to be around double the wheat price to make it attractive to growers, which currently it is not. Amid the turmoil of the anti-dumping and countervailing investigations, the saving grace of grain producers in 2019 is domestic sales which, owing to eastern states winter crop and summer crop failures, are set to continue at premiums over export till late 2019. Southern Queensland consumers, managing their grain risk, have taken the opportunity to bring cheaper barley into their feed ration, replacing wheat. “This year already we know there is no exportable surplus in eastern Australia, and only a little in the west because we know a lot of the west was pre-sold. Chinese brewers prefer Australian barley malt due to its superior performance in their breweries, and in recent years Australia’s barley industry has expanded its trade in animal feed barley to China to meet Chinese demand. These investigations and the imposition of any duties on Australian barley would have a negative impact on these Chinese industries, and trade sources said Chinese importers have been in as much of a hurry as Australian shippers to book Australian tonnage before possible rulings take effect. While trade in wheat and barley between Australia and China started more than 50 years ago, it was the 1980s that saw a rapid increase in demand for barley to be malted for beer making. In the past decade, the significant change in this trade is the emergence of demand for feed barley for livestock production, particularly in southern China. It appears to be this feed barley at the heart of the anti-dumping and countervailing investigations, and may relate to domestic Chinese grower returns. In a joint statement following November’s announcement the Grains Industry Market Access Forum (GIMAF), Australian Grain Exporters Council, Grain Growers, GPA and Grain Trade Australia said Australia’s barley industry would work cooperatively with the People’s Republic of China and the Australian Government to ensure a positive outcome for its ongoing relationship with China. Dumping refers to the practice of a company exporting a product into a foreign market at a price lower than it normally charges in its own domestic market, and the statement said the notion of dumping was not consistent with the commercial realities of the Australian grain industry. Apprehensive, and left with no choice but to comply with the unfamiliar path of investigation, interested parties were required to ask MOFCOM to send them the questionnaires. Costs, which are suggested to amount to millions, have arisen from the need to engage legal specialists, interpreters and industry consultants in order to respond as diligently as possible to an 88-part questionnaire, covering inter alia financial detail of farmers’ enterprise profitability. Submissions are to be delivered in hard copy to an address in Beijing in Chinese language. Follow-up might be expected in the form of a personal visit seeking verification. The barley industry would be justified in feeling the unwitting target of someone else’s dispute. Both countries had benefited from preferential access granted under the China-Australia Free Trade Agreement (ChAFTA) which came into effect in 2015. China in 2001 joined the World Trade Organisation, which broadly governs rules and guidelines of anti-dumping and countervailing claims. Australia itself has launched numerous anti-dumping cases against China, mainly with regard to manufactured goods. These are China’s first investigations into an Australian agricultural export, and trade sources expect it may follow a similar pattern to China’s investigation last year into US dumping of sorghum. Details of MOFCOM’s announcements No.89 of 2018 on filing of anti-dumping investigation against imports of barley originating in Australia, and No.99 of 2018 on countervailing investigation against imports of barley originating in Australia can be viewed at its website. Trade sources said Australian Government officials had made representations to MOFCOM and the Chinese Embassy in Canberra, and made written submissions on the technical aspects of both investigations.